Lots of things have been happening. So, today I thought I’d share a few things that I’ve recently discovered that have really helped combat my OCD/low mood ect. I know this has been proven to help boost mood and serotonin levels, but until I actually tried it I’d never quite believed all the facts. I’ve recently started triathlon and ju-jitsu, which I’ve been really enjoying. I used to do ju-jitsu about two years ago, but I stopped due to the days changing and since then I had just isolated myself from any extra activities. I guess I was too scared to try something. There were too many possibilities that things could go wrong and I just wasn’t motivated at all. Now that I’ve finally started to step out of my comfort zone, I’m really enjoying it! I think also, I’m in a better place mentally too. So here’s to beating up my dad every Tuesday night! Mwah! This is kinda along the same lines as exercise, but I’m talking about casual walks, not super strenuous power walks. Since the weather has been somewhat bearable recently, I’ve found little walks to have been really useful. Even if it’s just down to my local park at the bottom of my street, even that seems to really help. I need to motivate myself to do that more! I’m sure by now probably everyone has heard about and seen the loom band craze that has seemed to have hit the whole entire planet. I actually find them a great distraction! 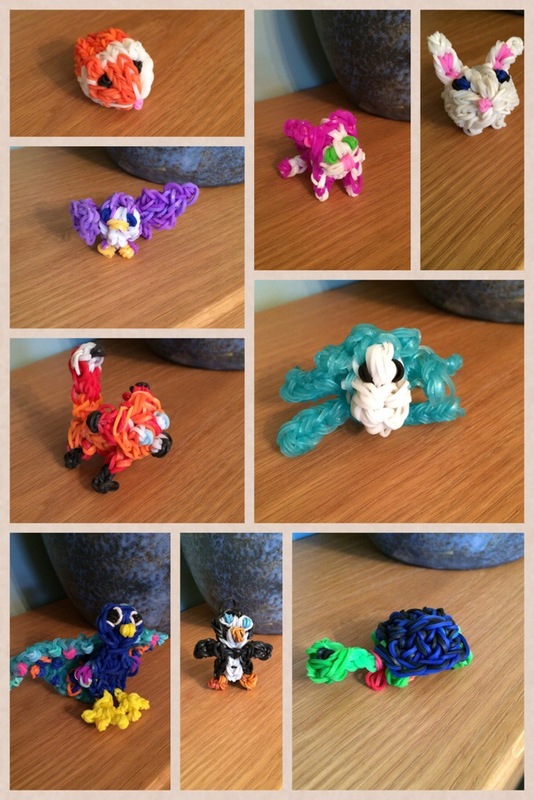 I make little animals out of loom bands rather than bracelets. It takes a while, a long while, but honestly it’s such a good distraction. I have to really focus on what I’m doing because one mistake and hours of work will go to waste and trust me, I’ve been there and it’s one of the most frustrating things ever. Yeah… I kinda got carried away! So I hope maybe this helped a little bit? I’m just longing for Friday to come because we finally break up for summer and then a few weeks after that I’m going abroad!! First time on a plane in 11 years and holy Jesus am I excited about it (and very anxious!) I honestly can wait. #BehindtheOCD Project video coming very soon! Thank you so much for all the entries, it had really meant the world to me. There’s still a few days to send one on if you’d like. Deadline will be Friday, July 18th. Thank you! Great suggestions Ellen, and I love the animals! Have a great trip! The animals are awesome! I always wondered how people could make those! I would never be able to, I think I would get so frustrated, props to you! Thank you!! They can get really frustrating to do, especially if they all go wrong!! I just discovered your blog. I have a beautiful 14 year old daughter such as yourself who suffers from OCD (intrusive thoughts). I can’t wait until I show her your blog. I know she will feel better knowing there is someone like you going through the same things she is. We were just talking about the importance of exercise for her OCD – thank you for your posts! 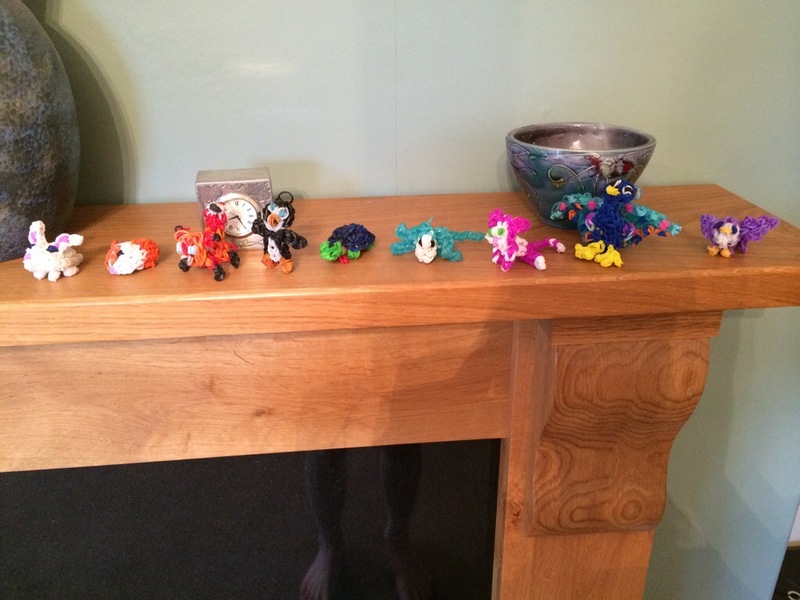 I love the loom band animals. Really made me smile. I wonder if doing something like that might be good for me as I skin-pick. Where do you get the bands from?